The game that launched a multi-billion dollar franchise is now laid bare for your hacking pleasure. 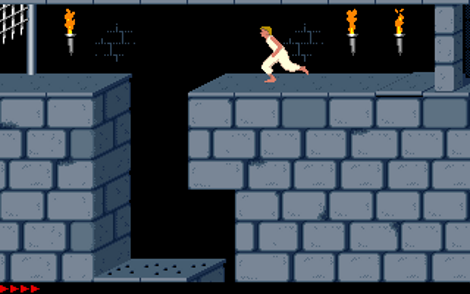 [Jordan Mechner] just posted the once-lost source code for Prince of Persia. This game was ground-breaking for its use of rotoscoping to mimic the movements of an actor (in this case it was his younger brother). Oh, and it’s a ton of fun to play. This comes at an appropriate time since yesterday was the the 35th anniversary of the Apple II release. PoP was written for that platform but should be easy to get running on an emulator if you’re just interested in cloning the repository so that you can play it through once again. Interestingly enough, the source code went missing for many years. [Jordan’s] been looking for the original source code for a decade. Turns out his Dad came across a cardboard box with some original copies of the game in it and shipped it off for [Jordan] to take care of. Inside was a set of 3.5″ disks that are pure retro gold. So here’s your chance to inject yourself into the game. The question is, will you be the Prince or will you be Jaffar? If it was the pc platform I would also consider porting it to C. But I don’t know this platform well enough to attempt it.. I do have some boxes on the attic with the Inside Mac volumes .. But i’ll let someone else port it to C.
Aha indeed. The Apple II version actually reminds me the GameBoy version which I still own. For historical reasons, it’s worth noting this is the ORIGINAL game. The PC port is, though improved, still a port. In addition to preserving an awesome historical relic, we also get to see something that we never would have seen 35 years ago: The source code to the disk copy protection routines. Also, for kicks look at the end of the Boot0 source and you can find where the bootloader easter eggs are defined. This is the best thing to happen today. My dad is friends with the person who coded it. My dad knows the brother in law of the hairdresser of the milkman of the person who coded it. Now if only they’d find the source for Origin’s “Ultima VIII:2 The Lost Vale.” :) Rumor has it the game was almost ready for pressing, but was killed days before it was due to be finished. They actually never started it. Other cheats are possible, but man it feels good to finally add cheats to JACE. Code will be checked in the next few days but it will be longer before the binary gets updated. Somebody should think about some kind of museum or archive for these things. This is history! Linus Torvalds played this game while waiting for his Minix discs to arrive by mail :) (before coding Linux kernel 0.01). i remember this game good. a play it years back on my first pc whit a monogrome schreen the one that is orange/yello. te probleem i had that you do not see or you get a good potion an not one that kill me.